A Dense Fog Advisory means visibilities will frequently be reduced to less than one quarter mile. * VISIBILITY...Through much of the morning hours. * IMPACTS...The very dense fog will impact the morning commute and cause tricky travel at times. Even in daylight, please use low beam headlights and allow extra space between you and the vehicle ahead of you. ...DENSE FOG ADVISORY IN EFFECT FROM 10 PM THIS EVENING TO 1 PM CDT WEDNESDAY... 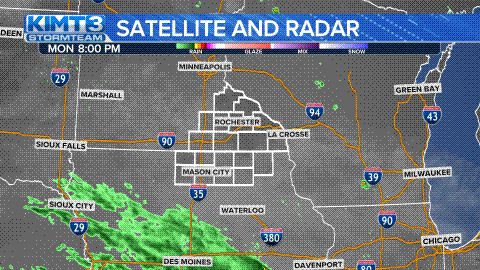 The National Weather Service in Twin Cities/Chanhassen has issued a Dense Fog Advisory, which is in effect from 10 PM this evening to 1 PM CDT Wednesday. * IMPACTS...Significantly reduced visibilities. In addition, icy patches are possible on untreated paved surfaces where temperatures fall below freezing overnight over west central Minnesota.